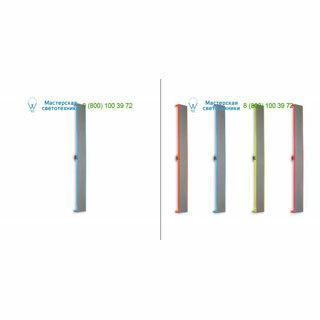 Juice, rotatable wall lamp, alu grey with fluorescent blue plexi, G5 2x28W 230V. Dimmable. Size: 1176x60mm.